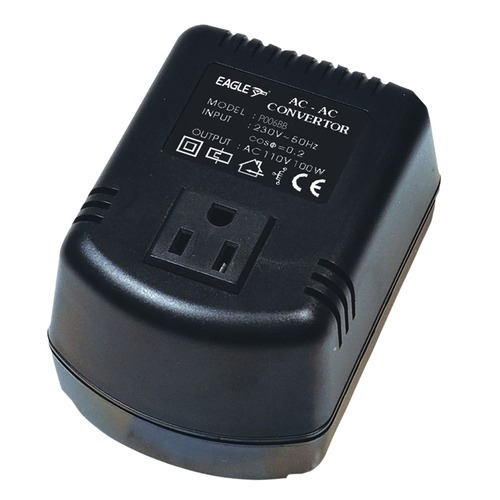 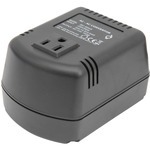 This Eagle 230 V to 110 V step-Down converter allows any USA device at 110-120 Vac to be powered from a 230-240 Vac UK Mains. 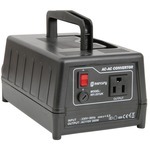 This converter will operate devices which are intended for North America and will allow electrical equipment which are fitted with an USA 2-Pin plug. (This product is not however suitable for appliances requiring an earth), Ideal for equipment rated below 100 W, fitted with robust ABS Housing and thermal fuse protection. 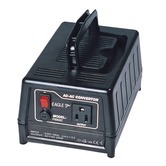 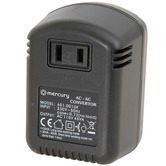 This 300W Eagle 230V to 110V step-down converter allows any device intended for use in the USA at 110-120Vac to be powered from a 230-240Vac UK mains supply.